The Nominating Committee for the International Clarinet Association has nominated Dr. Vanguel Tangarov for the Presidency (President-Elect) of the Association. If elected in spring 2018, he will serve two years on the Board as President-Elect, and then two as President. This entry was posted in alumni students faculty NEWS and tagged International Clarinet Association on November 28, 2017 by Thomas S. Clark. Texas State music faculty members Daris Hale, Steve Girko, and Ian Davidson, all members of the Wild Basin Winds, have released a new CD. The recording, now available on iTunes, CDBaby, and Spotify, is called Christmas Too, a compilation of jazz-inspired arrangements of holiday favorites, by Austin jazz guru Gary Sletcha, scored for woodwind quintet. Joining the three Texas State professors are flutist, Mathew Krejci from the University of the Pacific and Sacramento Philharmonic, and horn player Tom Hale from the Austin Symphony and Austin Opera orchestras. Among the titles on the album are Gesu Bambino, Santa Baby, We Three Kings, Frosty the Snowman, Angels We Have Heard on High, Do You Hear What I Hear, and Away in a Manger. The recording was mastered by TXST faculty Gary Hickinbotham and Mark Erickson and is the first collaboration between the Wild Basin Winds and TXST Fire Station Studios. This entry was posted in alumni students faculty NEWS on November 16, 2017 by Thomas S. Clark. Jazz trumpet student Natty Mckay played a successful audition to join the Lackland Air Force Band in San Antonio, replacing an airman who won a position with the renowned Airmen of Note in DC. This entry was posted in alumni students faculty NEWS and tagged Lackland on November 16, 2017 by Thomas S. Clark. 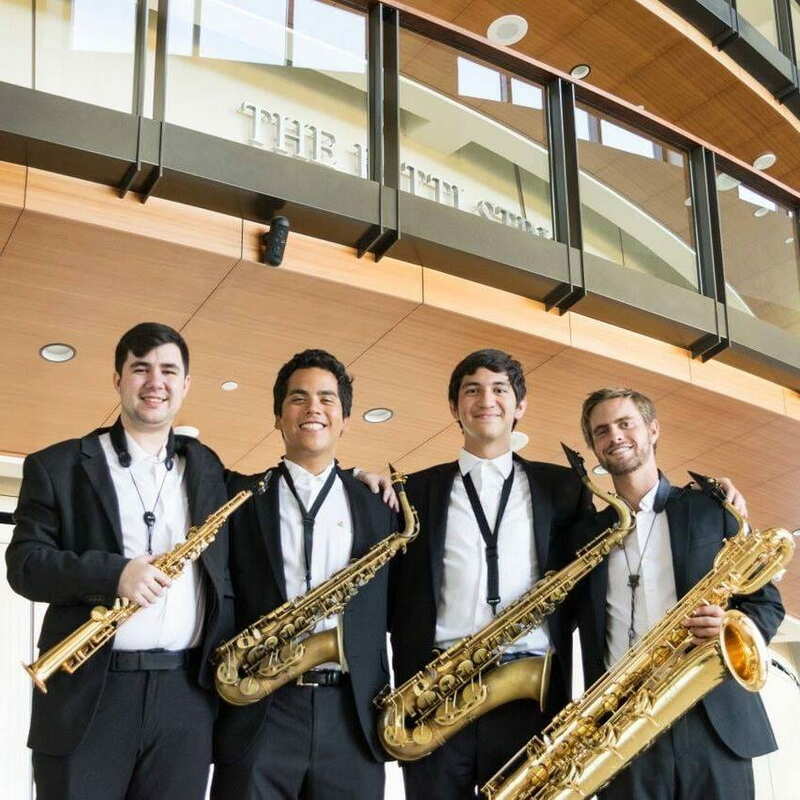 SONUS Quartet’s student saxophonists Elijah Breda, Jacob Hernandez, Joseph Treviño, and Peyton Grover, were featured student performers at the National Association for Music Education – 2017 National In-Service Conference in Dallas. This entry was posted in alumni students faculty NEWS and tagged NAfME on November 15, 2017 by Thomas S. Clark. Dr. Martin McCain served on the competition jury for the Missouri Music Teachers Association and Music Teachers National Association brass competition. 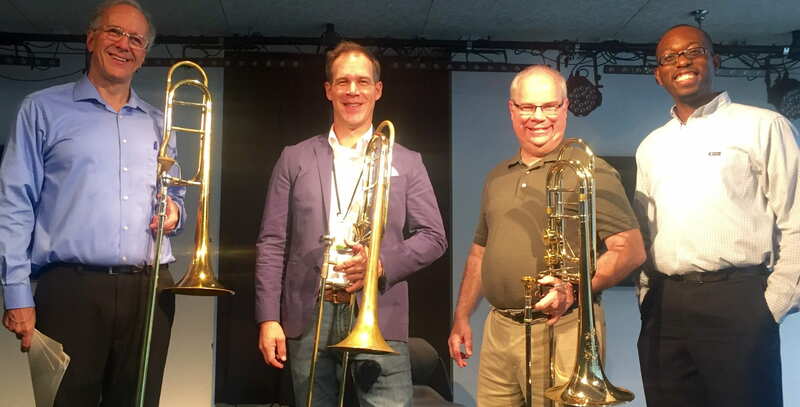 He joined the Memphis Symphony Orchestra trombone section as faculty for the All-West Low Brass Boot Camp, where he performed in a recital and presented the all-state tuba etudes for the participants. He also performed Verdi’s Requiem with the Memphis Symphony. He also recently performed a Masterworks subscription concert with the Phoenix Symphony. This entry was posted in alumni students faculty NEWS on November 15, 2017 by Thomas S. Clark. Held November 8-11 at Texas A&M Commerce, the National Teachers of Singing Texhoma region competition selected two TXST singers as finalists: Ivy Cantu (student of Cheryl Parrish) and Ben Ruiz (student of Ron Ulen). TXST Semi-Finalists included Youna Hartgraves’ students James Adamson and Hunter Sabin; Richard Novak’s students Alexis Alvarado, Audrey Harris, and Courtney Katzmeyer; Ron Ulen’s students Anna Balan and Mackenzie Bitz; Cheryl Parrish’s student Martha Rose Hayes; Michelle Hache’s students Annisha Mackenzie, Michelle Sanchez, and Cassidy Wallace; and Myra Vassian’s student William Phi. Caitlyn Durkee, Bailey Galindo, Lucas Phillips, Sara Trogden, and Anai Winn from TXST also competed. This entry was posted in alumni students faculty NEWS and tagged NATS on November 14, 2017 by Thomas S. Clark. Amy Gravell, Mackenzie Bitz, Peter Scott, Jaimie Lowe, and Matthew Acosta. All presented polished and exciting performances, and the judges were duly impressed. The winners, Hyunjin Wang, piano, Elaina Walzel, bassoon, and Jaimie Lowe, mezzo-soprano, will be invited to perform with a TXST wind-band or orchestral ensemble. This entry was posted in alumni students faculty NEWS on November 8, 2017 by Thomas S. Clark. 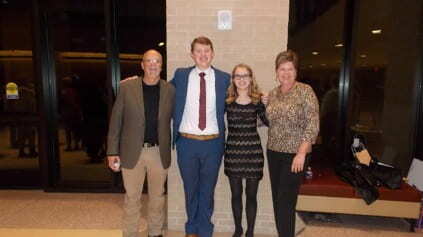 Instrumental music studies major Emily Gazeley recently was awarded the Texas Music Educators Association Collegiate Music Educator Award for an outstanding future teacher. Emily is currently student teaching. Congratulations go also to all of the faculty who worked with her during her studies here. This entry was posted in alumni students faculty NEWS and tagged TMEA on November 8, 2017 by Thomas S. Clark. Carolyn Watson‘s article about the state of affairs for women on the podium was published earlier this week in Limelight Magazine, Australia’s national classical music publication. Now the article has gone global and ended up on the front page of Musical America. This entry was posted in alumni students faculty NEWS and tagged Limelight, Musical America on November 3, 2017 by Thomas S. Clark. Undergraduate student saxophonists of the SONUS Quartet — Elijah Breda, Jacob Hernandez, Joseph Treviño and Peyton Grover — were featured performers at the recent TEDx at Texas State 2017 “Bridging Differences” event. Saxophone student John Henrick is featured in the November 2017 issue of the Lockhart Area Music Association Newsletter. Chris Henrick (Dad), John, Katy Head (friend), Laura Henrick (Mom). This entry was posted in alumni students faculty NEWS and tagged SONUS, TEDx on November 1, 2017 by Thomas S. Clark.